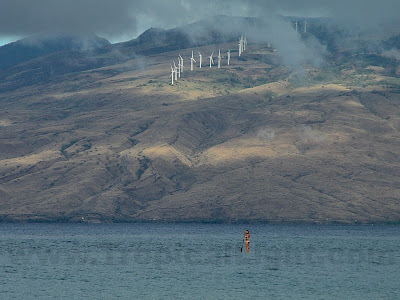 While stand-up paddleboarding is HUGE on Maui, I was surprised to find absolutely no one doing it at the Mediterranean resorts last summer. Usually Europe is ahead of us when it comes to new and trendy, but not this time. We win! 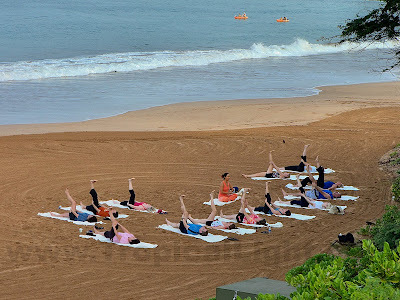 Yoga on the beach had another big turnout this morning. I'm in pain just looking at the photo. I am the opposite of flexible. Thank goodness for slip-on shoes. I can't even imagine getting down low enough to tie shoelaces. I don't know how other people do it.